Thomas Dolan received his education at the University of Pennsylvania, graduating with degrees in architecture (B.A.) and landscape architecture (M.L.A). His primary mentors at Penn were Edmund Bacon, author of Design of Cities and Ian McHarg, author of Design with Nature. He was also influenced by another Penn faculty member, Louis Kahn, who inspired Tom’s sense of the power of place to add meaning to peoples’ lives. After graduation from Penn, Tom lived in several loft spaces in Tribeca, New York City. The form intrigued him. Subsequently, extensive travels in Asia gave him perspective on lives not separated from work, both in big cities and rural villages. 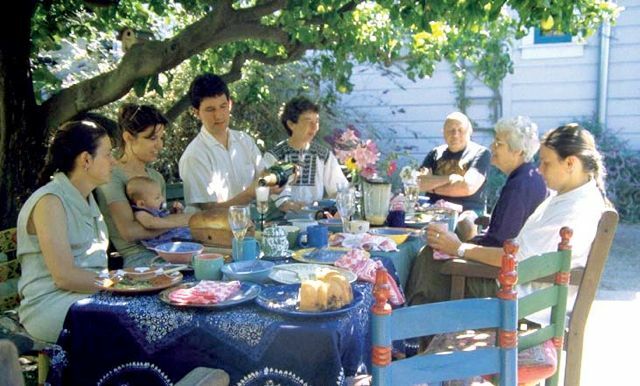 In 1983, he and three friends bought an old Italian family compound in Oakland, where he lived and worked for seventeen years; it was there that he discovered the power of courtyards to build community; based on this continuing experience, he conceived the live-work courtyard community, essentially a new building type. Tom has worked at or near his home in Oakland for much of the last 27 years. His comprehensive book, Live-Work Planning and Design: Zero Commute Housing (Wiley: 2012), is the summation of his work and of the subject of live-work to date. The book rigorously defines the different types of live-work, in an effort to help developers, regulators and designers avoid “re-inventing the wheel” each time live-work comes to a new city. Thomas Dolan is a charter member of the Congress for the New Urbanism, and is CNU- Accredited. He is a licensed architect in the state of California. 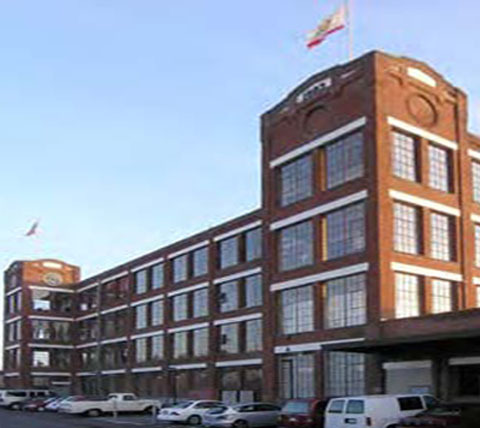 Founded in 1985, Thomas Dolan Architecture is an Oakland-based firm whose work has focused on mixed use urban infill. Having designed and built the first purpose-built live-work in the U.S. in the mid 1980’s, the firm expanded on that initial decade-long series of projects into several areas of urban infill, including: several affordable housing projects; large and small renovations of existing buildings; planning, development and code consultations for live-work and mixed use; legalization of existing artists’ live-work complexes; numerous podium-style mixed use buildings consisting of housing over liner retail and FlexHouses with embedded Parklift “kernels;” and urban design work in connection with several New Urbanist communities in California. TDA has worked on several green projects that are either LEED-certified or score high on locally calibrated Multi-Family Guidelines. 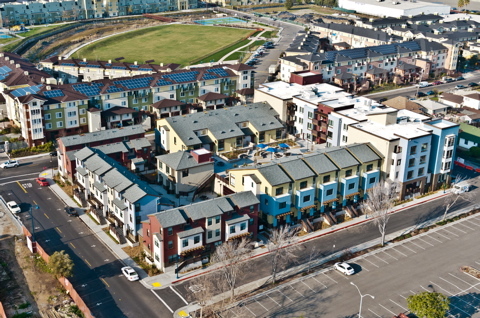 Among them are Northgate Apartments, recognized as an exemplary project by the Green Affordable Housing Coalition; Temescal Place, at the time of its construction the site of the largest array of photovoltaic panels in Oakland and a recipient of a Gold Nugget Award; and the Berkeley Green Condos, a 40 unit LEED Gold mixed use infill project on San Pablo Avenue. Fruitvale Point is a 97 unit transit-oriented work/live incubator project designed to include units aimed at start-up businesses that open out onto the street or onto a podium-level “Mercado,” topped by two levels of residential units. Lion Creek Crossings Phase IV, completed in 2011, is the most green—both in building technology and location—of the four phases of this Hope VI project that replaces the blighted Coliseum Gardens public housing project and is adjacent to the Coliseum BART station in Oakland. Perhaps equally important, 100% of TDA’s work is urban infill. We believe that locating development in transit oriented places already served by existing urban infrastructure makes it “green” for that reason alone. TDA was involved in the formulation of the new LEED Neighborhood rating system (LEED ND), which in fact gives the importance of an urban infill location its proper due. Livermore Village, designed in collaboration with Opticos, Inc., is to be a 5.5 acre greyfield redevelopment in the heart of downtown Livermore. The project, entitled in 2006, includes some 360 units of housing, ground floor retail, flexhouse” spaces, and true courtyard housing over double level podiums that make extensive use of the Parklift System. 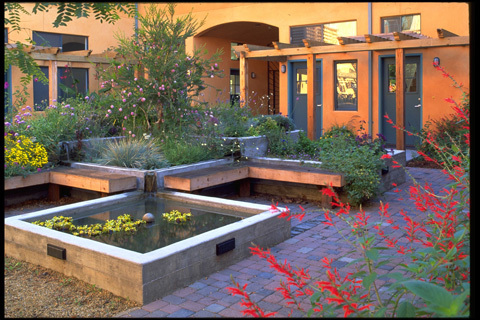 Livermore Village received the 2007 International Making Cities Livable Mixed Use Design Award. We have been committed to the New Urbanist cause since before the invention of the term. Our more recent work is aligned with or in collaboration with fellow members of CNU. 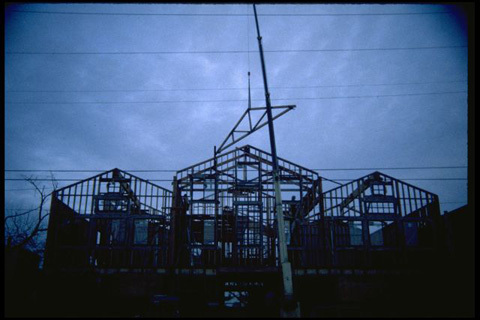 In 2004, as part of a CNU XII in Pasadena, Thomas Dolan made a presentation on live-work and infill housing as part of a panel on infill housing moderated by CNU co-founder Stephanos Polyzoides. He also made a similar presentation at the 2001 Santa Fe Council for the New Urbanism, an invited meeting of accomplished CNU practitioners. TDA continues to be active in the organization, participating as a founding member of the Northern California Chapter of CNU. 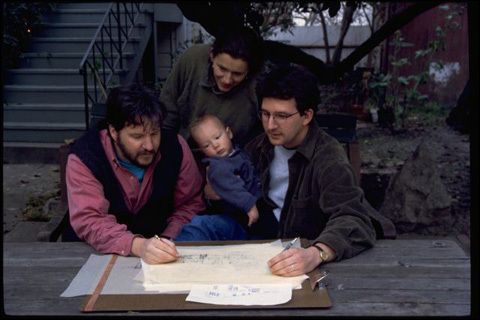 In the late 1990’s, TDA was commissioned by the City of Oakland to prepare Live-Work in Plain English, an online interactive guide to Oakland’s new Live-Work Building Code (which he was instrumental in creating). Aimed at developers, architects, artists and owners, Live-Work in Plain English walks the reader through the live-work design, permitting and development process. Additionally, TDA has worked to assist the cities of Emeryville, Berkeley, Richmond, and Sonoma in their efforts to regulate live-work. In 1997, Tom served as a consultant to the City of Vancouver, B.C. Not unlike San Francisco, live-work there had spread to all kinds of users, and it represented a major trend in alternative urban housing. Work/Live in Vancouver addresses definition, regulation, “social engineering ” through planning regulations, and life safety protection through building codes. Combined with his work in Oakland, the Vancouver consultancy gave Tom further insight into the regulatory environment required to make live-work function well in a larger context.